Doñana, located in southwestern Spain, is the largest wetland in Western Europe, and an area with a great diversity of wildlife and landscapes. It is of great importance for birds throughout the year, on the one hand as a place to rest and feed during their migrations but also as a vital wintering and breeding area. There is also an important population of the world’s most endangered feline, the Iberian Lynx. 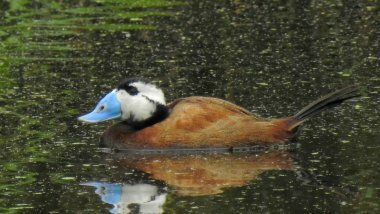 Among the breeding birds we can highlight the Spanish Imperial Eagle, the Marbled Duck, the White-headed Duck, the Red-knobbed Coot or the Great Bittern. In migration and wintering, we can add the attraction of the presence of large concentrations of waders, waterfowl, cranes and flamingos. With us you will be able to discover Doñana in an easy and comfortable way, as we pick you up at your accommodation. 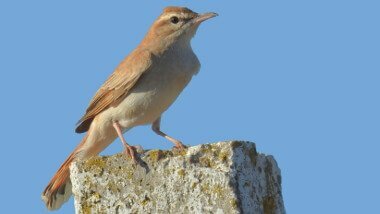 We will visit the best areas for bird watching in Doñana, both near Seville as well as in Cadiz and Huelva. Half day, full day and several days trips are available, highly customizable according to your preferences. Are you ready to discover Doñana?